Just found a small but worth-to-mention release in the Doomworld forums by Sergeant_Mark_IV that absolutely caught me by surprise. 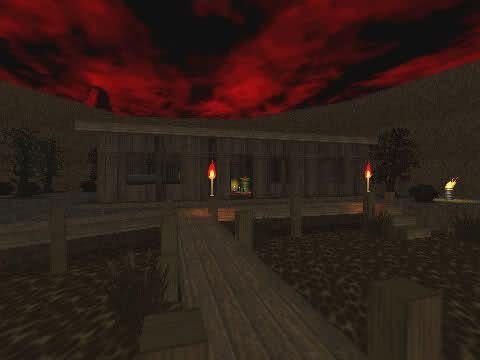 It's a small-sized map for GZDoom set in a dark, dirt and brown swamp. The map features a new music track, several new textures and objects to emphasize the whole atmosphere of the map. Don't expect too much, though it's still something that is worth playing. The file can be downloaded from here at the moment.